Hope 2016 will be great and wonderful for everybody! 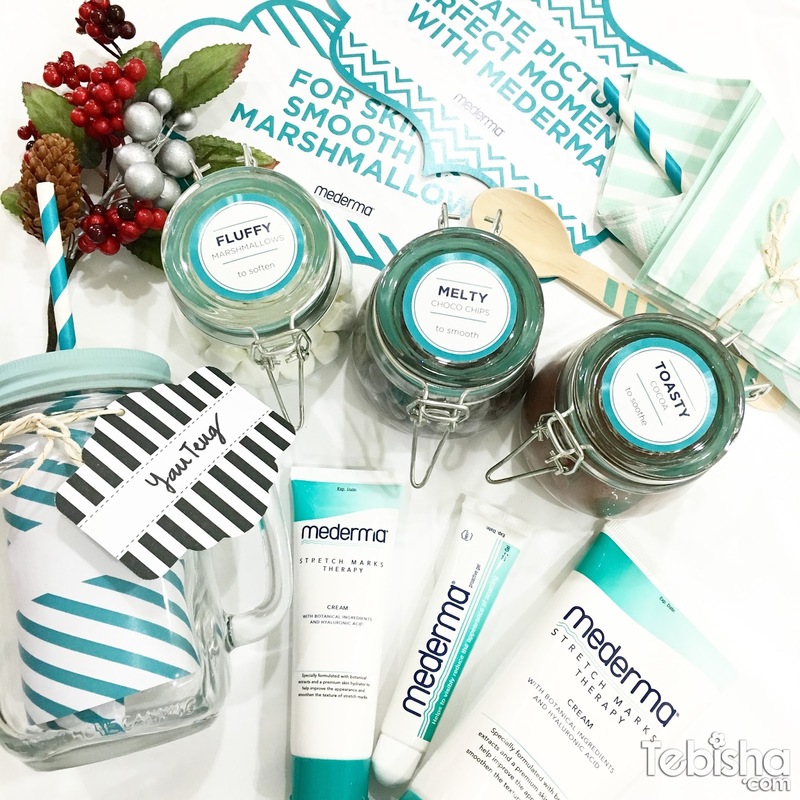 Let me get started on my first 2016 post by introducing this awesome body care brand, Mederma. Mederma is the No.1 doctor-recommended scar brand & the USA No.1 pharmacist-recommended stretch mark brand. Before trying out Mederma, I did a research on instagram with their hashtag #mederma and I found out the amazing results and good reviews from users in overseas. The good news is both Mederma Proactive Gel & Stretch Marks Therapy Cream are now available in Singapore! 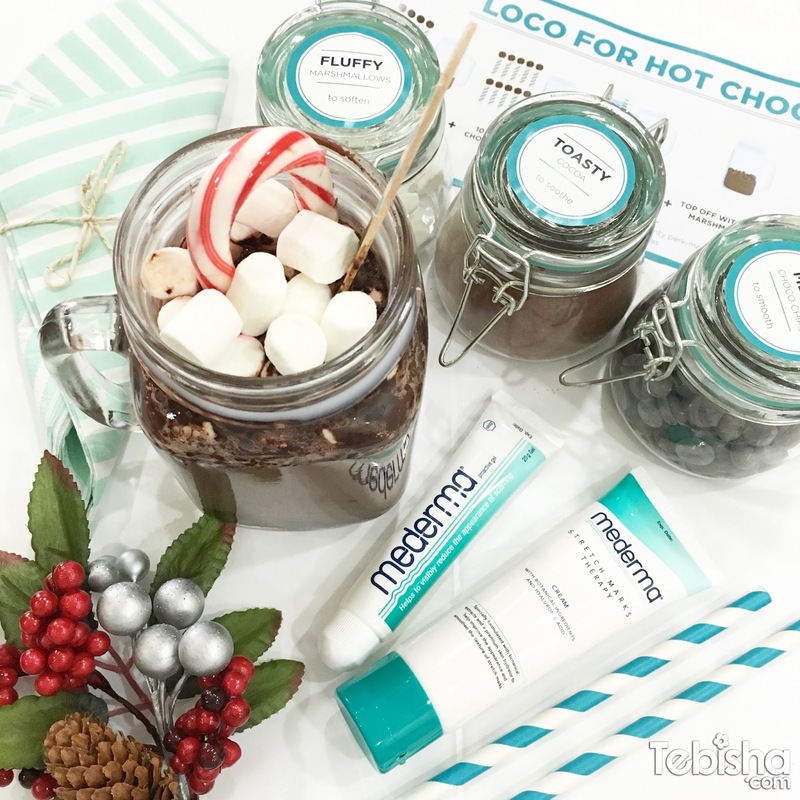 Thank you Mederma & The PR People for sending the super thoughtful Mederma’s Hot Chocolate Kit to me. And I made my very own Mederma Hot Chocolate Drink! Mederma Proactive Gel is one of the most effective scarring gel for me. I do see healing results within few days of usage, the 20g tube is handy to carry around, I will always bring one with me when I travel. [Review] Mederma Proactive Gel – USA’s No. 1 Doctor recommended scar brand! Now, introducing Mederma Stretch Marks Therapy Cream. Do you know that Stretch Marks not only caused by pregnancy and also during puberty period? According to NHS UK website, about 8 out of 10 women get stretch marks during pregnancy, while 7 out of 10 girls and 4 out of 10 boys get them during puberty. I’m one of the victim gotten stretch marks during my puberty period. My stretch marks are around my upper thighs, I have been using Mederma Stretch Marks Therapy Cream for more than 1 month, its does show improvement in reducing the appearance my stretch marks. As you can see from the pictures above some stretch marks are visibly lighten and improved the skin texture. Actually I have received Mederma Stretch Marks Therapy Cream in Aug 2015, I’m a very lazy person, I only apply the cream as and when I remembered. Results wasn’t that effective. Until last month, I decided to use it diligently. I applied twice a day if possible, if not at least once a day and that’s show a great improvement after 1 month of application. A non-oily cream formula and gives a soothing feeling after application. It gives out a pleasant scent which is very calming to mind and skin. Cepalin is a proven and well researched anti-inflammatory botanical extract that helps to soften scar tissue. Hyaluronic Acid locks in moisture and can bind up to 1,000 times its weight in water. This plant extract tones and tightens skin, giving you a smoother look and feel. Mederma Stretch Marks Therapy Cream can both reduce and prevent appearance of stretch marks. For best results, apply a thin layer and gently massage into the scar twice daily. Avoid applying it to broken skin. If you are pregnant, start applying this from the beginning of the second trimester and while breastfeeding. Mederma Stretch Marks Therapy Cream retails for $35.80 for 150g at selected Guardian outlets.